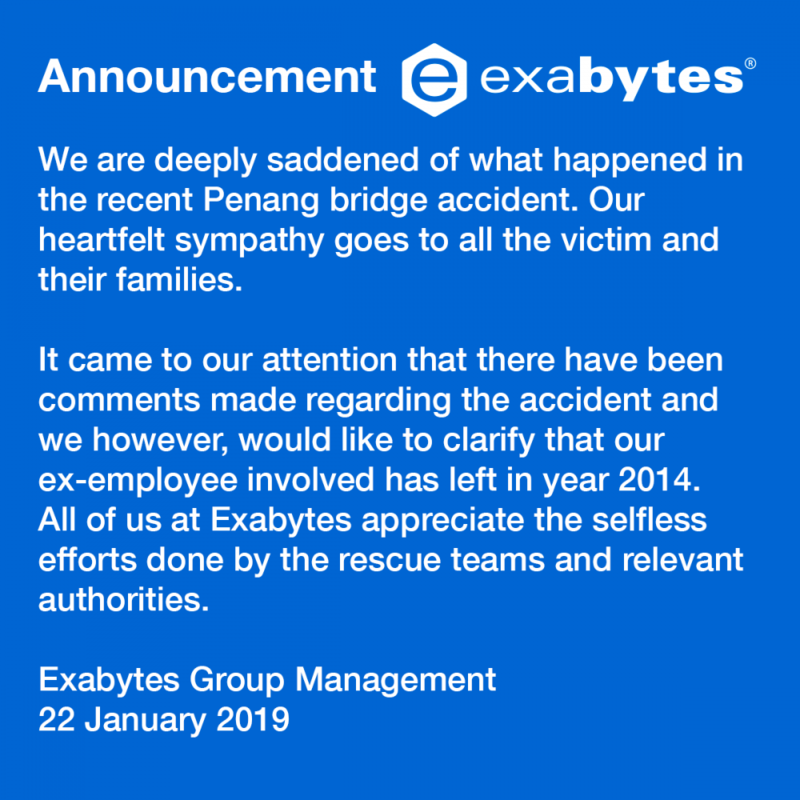 In the recent light of the Penang bridge incident, we are deeply saddened of what happened. Our heartfelt sympathy goes out to all the victims and their families. It came to our attention that there have been comments made regarding the accident and we, however, would like to clarify that the individual involved was an ex-employee that has left in the year the year 2014. All of us at Exabytes appreciate the selfless efforts done by the rescue teams namely Jabatan Bomba & Penyelamat Malaysia (Fire & Rescue Department of Malaysia), Jabatan Bomba dan Penyelamat Malaysia Negeri Pulau Pinang and all the relevant authorities.